Home>Eye, Face & Head Protection>Eye Protection>Accessories>Lens Cleaning Solution - 16 oz. 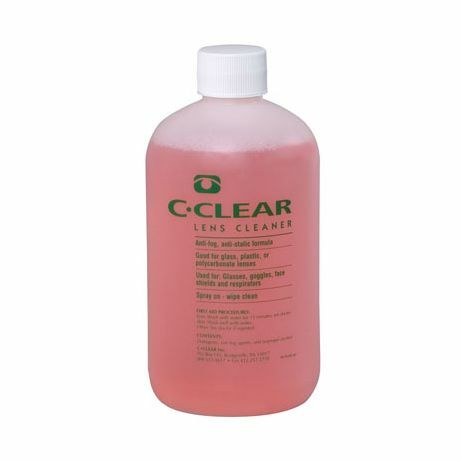 Lens Cleaning Solution - 16 oz. 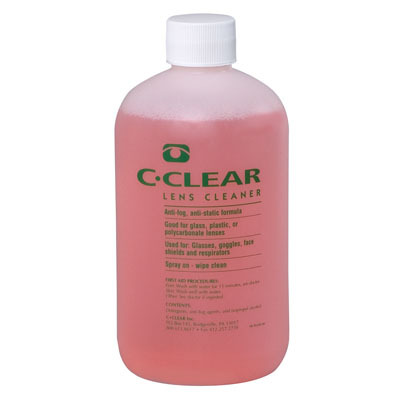 C-Clear lens cleaning solution was specifically designed with the industrial environment in mind. Solution cuts through grease and oil, leaving lenses clean and streak free with an Anti-Fog, Anti-Static coating. Good for use on plastic, polycarbonate and glass lenses and is safe and effective with all lens coatings including Anti-Reflective coating. Contains no silicone and is also available in an alcohol free formula. May also be used on face shields, goggles, full face respirators, microscopes and CRT screens.